Curtis Duffy, one of the country's most renowned chefs, is building his dream restaurant at the worst time of his personal life. 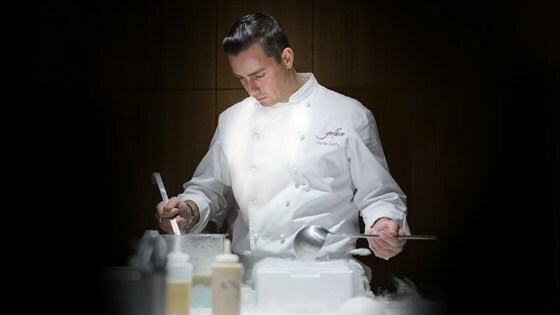 Already the recipient of two coveted stars from the Michelin Guide, Duffy has ambitions for his Chicago restaurant Grace to become the best in the country. But his laser focus on his cooking career cost Duffy his marriage and two young daughters. 'For Grace' follows the building of Grace from concrete box to its opening night. It's a story about food, family, balance and sacrifice. It also revisits Duffy's turbulent childhood -- How a teacher recognized talent in a troubled teenager, how an unimaginable family tragedy made Duffy seek refuge in the kitchen, and how cooking ultimately exacted a price.